The City Beautiful Movement was a Progressive-era reform effort by various architects and landscape architects to address the issues that had developed in many of America’s industrial centers by the turn of the 20th Century. These leading designers felt that large scale interventions of infrastructure, buildings and land preservation were necessary to save cities from overdevelopment, moral degradation, and second class status to European cities. While this Movement came and went fairly quickly in a span of roughly 20 years – from 1893 to the early 1910s – it did not develop overnight. The City Beautiful Movement was the result of decades of prior work that was done by the previous generation of architects and landscape architects in both the United States and in Europe. This essay with explore what these influences were, and what effect they had on the reform era designs that emerged around 1900 in America. In 1804, Napoleon Bonaparte made himself emperor of France and set out on an ambitious project to make Paris the most beautiful city in the world. It was during Bonaparte’s reign that the Arc de Triumphe and many other monuments were built atop what had been, at the time, the outskirts of Paris. In 1851, Bonaparte’s nephew, Napoleon III, assumed the role as the country’s emperor and by 1852 he had hired Baron Haussmann to complete Bonaparte’s goal.1 Haussmann was commissioned to take the existing medieval city of Paris and modernize it for the rapidly changing contemporary world of technological advances. Inspired by the mid-17th Century design of Versailles and Baroque city planning in cities such as Rome, Baron Haussmann quickly transformed Paris in the decades following his hiring. Large swaths of medieval Paris were demolished to make way for wide avenues, new buildings, and upgraded infrastructure. The city was also expanded, most noticeably to the west where new avenues were extended from the Arc de Triumphe. Baron, being trained as an engineer of sorts, approached the project from the perspective of improving the city, not only aesthetically, but structurally. He wanted to make the city run smoother and work better for modern times. This modernizing project, known at the Grands Travaux, succeeded in improving the city’s water supply, upgrading the sewer systems, accommodating railroads and stations, and making Paris a beautiful place to be. New sewers and water supply systems were laid under newly cleared land, some of which was developed with buildings and some of which were reserved for avenues. The creation of wide streets helped to reduce traffic congestion, improve air quality, and accommodate multimodal traffic with separate facilities for walking, horseback riding, and carriages.2 Clearing out medieval building stock also allowed for land to be opened up for new building typologies like department stores. Older, narrow buildings were difficult to adapt for a changing consumer and production economy and this massive reconstruction project provided the opportunity to change the networks of commerce in the city. Not only did large department store buildings line these new avenues, so did new apartment blocks that had better access to light, ventilation and space, in addition to central courtyards. Many new monuments were also built and displayed in homage to the planning principles established in places like Rome during Sixtus V’s Baroque rebuilding period. Triumphal Arcs, statues, and obelisks were erected at intersections, in squares, and used to create terminating vistas. Unlike Rome, however, these monuments were somewhat more civically inspired as seen in the new opera houses and other public buildings. Remarkably, the modernization project under Napoleon III and Baron Haussmann did not cost the Parisian citizens anything, in terms of money. The entire project was not completed with taxes, but rather by anticipating the rise in property values that would result from these improvements. The value of land lining these new avenues made up for the costs for the demolition and infrastructure construction. All these improvements, however, were not without their sacrifices and hardships. Medieval Paris was home to thousands of people at the time of this project. There were established networks of commerce, social relationships, and communities that were destroyed almost overnight. The under-classes in Paris, fed up with dictatorships, frequently held uprisings against the nobility of Paris and the emperor. Instead of addressing these grievances, Napoleon III decided to clear away the problem and prevent them from reemerging. The wide avenues were a way to prevent the blockade of roads by protesting citizens, which was much easier on the narrow medieval streets than these new monumental boulevards. The new housing apartments also displaced many poor residents who could not afford to live in these new buildings, or if they did, it was in the cramped attic spaces, which were often up as many as seven flights of stairs. There is also the issue of a loss of medieval urban fabric and building culture that can never be reclaimed. While vernacular, artisan buildings were not classically designed, today there is much appreciation for the craftsmanship that created these humble dwellings over the course of centuries. Although much of the demolished material was reused for new buildings and streets, the destruction of an entire piece of history cannot be overlooked. With that said, it would be difficult for anyone to look at Paris today with its beautiful Neoclassical architecture and pleasant sidewalk cafes, and wish that it could be replaced for the old medieval city. The architecture that replaced the medieval city was of the highest quality and it helped to unify the city under a single design character. And while poor residents were displaced, new housing did accommodate people at each end of the social spectrum, albeit with contrasting large apartments on the bel étage for wealthy families and cramped attic apartments for servants. Today the building stock of the Grands Travaux has proven to be extremely adaptive for changing needs. For example, the 10th arrondissement of Paris, Enclos-St-Laurent, is home to a large population of recently-arrived North African immigrants in search of a better life. 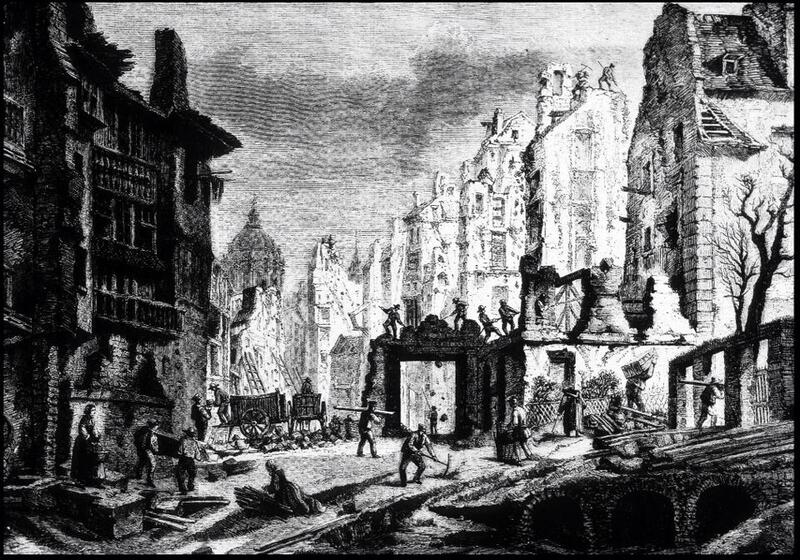 Furthermore, it is difficult to defend the urban form of medieval Paris that facilitated the rapid spread of disease. 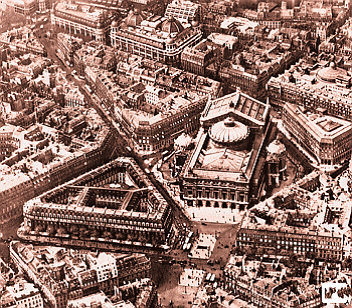 Ultimately, the Baron Haussmann plan was a flawed masterpiece of planning and execution that has resulted in one of the most functional and inspirational design projects in the world and it is easy to see why the City Beautiful Movement drew from it in their work. In America, at the time when Napoleon III was assuming power over Paris, cities and towns were rapidly expanding in an unplanned fashion as a result of industrialization. 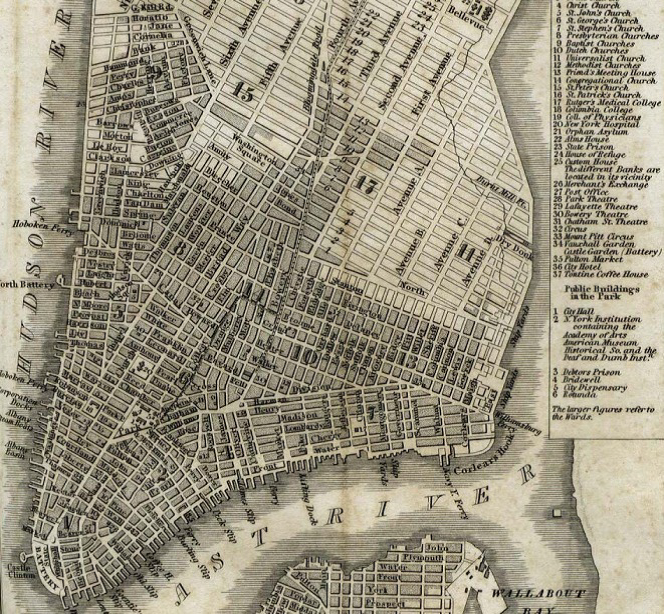 New York City had long outgrown its original colonial settlement in lower Manhattan, its subsequent Federal period growth, and the urban expansion of the Canal era was soon to be eclipsed by the suburban expansion of horse-drawn streetcar suburbs along the endless grid running north up the island. This new industrial development with smokestacks, water polluting policies, and associated dense worker housing tenements was unlike anything that cities had experienced – not even with water powered mills at the beginning of the industrial revolution. Public health advocates thought that without planned development, the city would choke on its own industrial might. 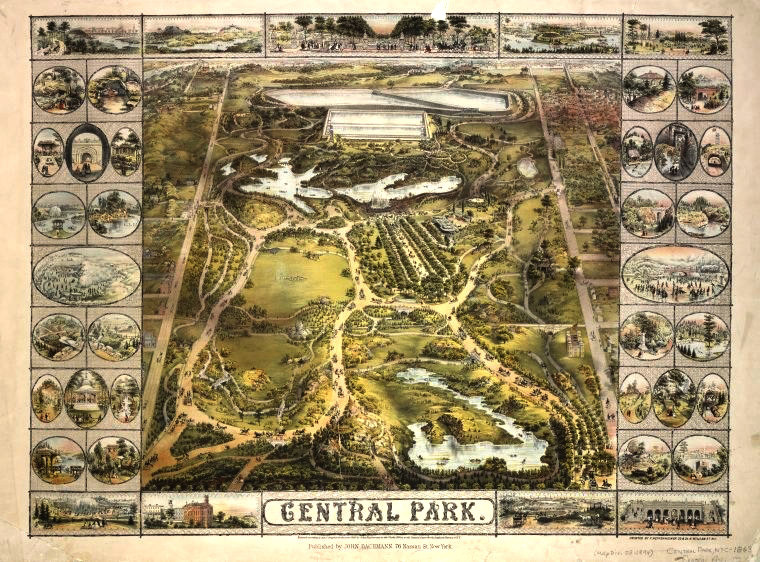 So in the interest of public health, leading landscape architect Frederick Law Olmsted and his partner Calvert Vaux urged the City of New York to intervene with a design for a grand and gracious public park in the center of the city. Visionaries like Olmstead were able to see the potential future should his warnings not taken seriously. Smoke towers would cover the skyline, refuse would fill the streets and all the horrors of some sections of the city would spread to the entire island. While exaggerated, the underlying premise that cities were growing too dense, polluted, and congested in some areas, was valid. Bythe 1860s, the City acted and Olmsted and Vaux were working on the design of a 843-acre park in the middle of the island. The park combined elements of picturesque landscape and wooded trails as well as formal green spaces. The park was, and remains today, an oasis in the city and an escape from the urban environment to a natural (though designed) one. With the success of Central Park, both Olmsted and Vaux asked to design several other parks and parks systems. 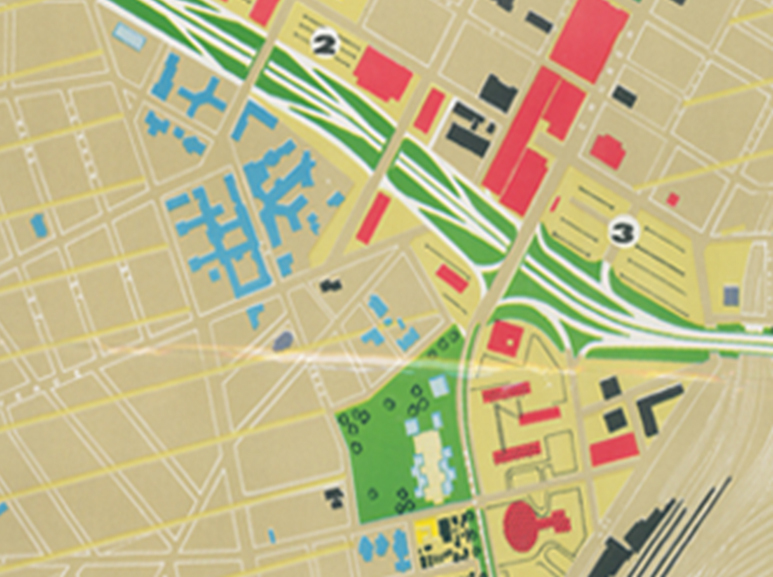 Some of these projects include Prospect Park in Brooklyn and some of the new parkways that traversed the borough, a suburb of Riverside, Illinois, and the Emerald Necklace around Boston.3 Other key players in this Parks Movement included important landscape architects, such as AJ Downing who worked on the Washington, D.C. Mall. An influential development that came out of the parks movement was the Parkway, which drew from the boulevards that were being constructed from old protective walls in European cities, but were uniquely American in form and design. These parkways tended to be more park-like than the urban and heavily paved avenues in cities like Paris and Florence. In many cases, a single large green space in the center of the road would be flanked by two two-lane roads rather than opting for the multiway boulevard model. This became especially true when the State DOT’s throughout the country built new parkways in the 1920s and 30s in the model of this Parks Movement design. The goals of the Parks Movement were to protect natural environments from the on slot of the uncontrolled industrial development, impose naturally-inspired landscapes on industrial areas, and address the spread of disease in American cities in the mid-19th Century. The Movement did so by encouraging cities and towns to adopt regional plans for maintaining open space, building new parks, and designing facilities that people enjoyed and supported. 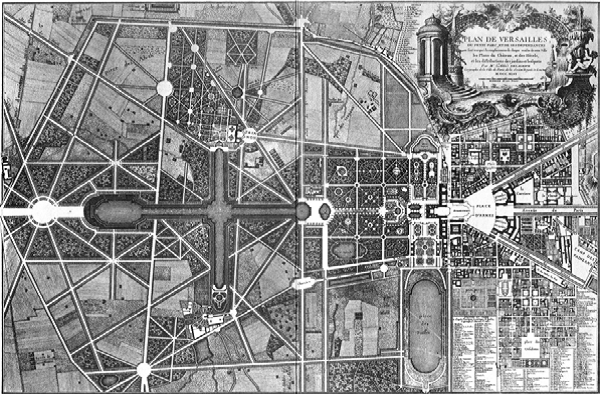 This movement was integral for influencing the next generation of landscape architects, who would team up with leading architects of the day to form the City Beautiful Movement in the decades following the design of Central Park in New York and the reconstruction of Paris under Haussmann and Napoleon III. The Great Chicago Fire of 1871 destroyed enormous swaths of the center of the city as the flames rapidly spread across the miles of the wood frame buildings until it eventually burned out. In the wake of this event, designers from around the country expressed the feeling that something should be done with this opportunity. Given the political system at the time that favored the protection of private, individual property rights, it was difficult to implement large scale planning projects. The disaster in Chicago, however, provided the unique opportunity to rebuild the city in a different and planned way. The World’s Columbian Exposition of 1893 in Chicago was organized by Daniel Burnham, an architect, who gathered together classically and Beaux Arts trained architects and landscape architects from around the country to propose ways of rebuilding the city. 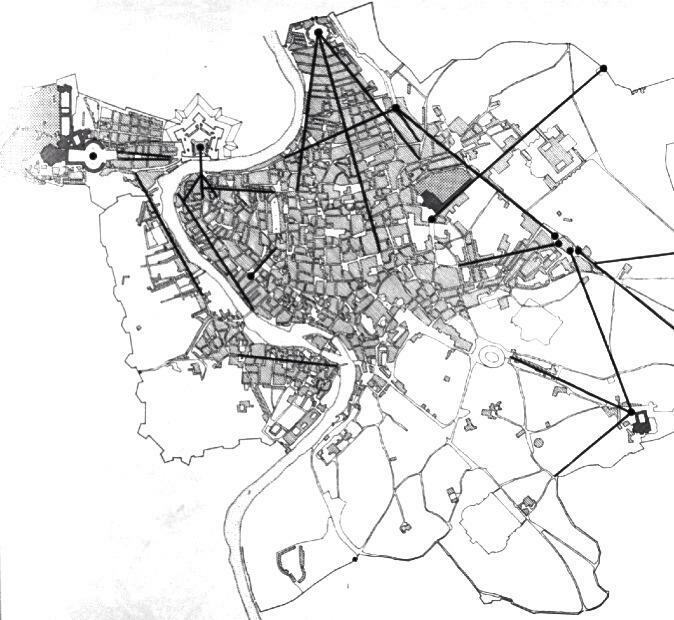 The result of this effort was the White City, which embodied the principles that are now used to define the movement. The design called for grand formal plazas lined by Classical and Renaissance Revival civic and public buildings that would serve as the government center of the city and the transportation hub for the region. Grand avenues would lead into this public square and guide all the residents of the city to the center where much of the proposed activity and life of the city would be. The only interventions, however, were not architectural; the plans also included picturesque parks with rolling hills and irregular paths, which would complement other formalized green spaces elsewhere in the city. Incorporating water into the center of the city was another important aspect of the Exposition, which would be accomplished by rerouting rivers and designing formal promenades beside them. Also integral to the design were regional park plans and natural green space preservation. The World’s Columbian Exposition led to the commission of Daniel Burnham to create a plan for the city of Chicago for 1909. The plan drew on the Exposition designs, but greatly expanded on them as well. Like the 1893 designs, the Chicago Plan embodied principles established during the Grands Travaux in Paris under Baron Haussmann like wide, airy avenues for the transportation needs of modern society, new grand public buildings, upgraded infrastructure for railroads and trolleys, and a beautiful city. Also incorporated into the plan was an expansive park system wrapping around the periphery of the city and coursing through existing neighborhoods and districts. Massive parkways were also planned to connect the city along straight, radial streets that would bring some monumentality to the regular street grid of Chicago. These ideas were pursued by the second generation of landscape architects like Frederick Law Olmsted Jr. The Chicago Exposition also led to many other commissions for civic improvement plans for other major cities, which include the MacMillan Plan of Washington D.C., the Report of the New Haven Civic Improvement Commission of 1910 by Cass Gilbert and Frederick Law Olmsted Jr., John Russell Pope’s Beaux Arts expansion of Yale University, and plans for cities like Philadelphia, New York, Cleveland, and Pittsburgh. Like the Haussmann project in Paris, many of these city plans called for the demolition of derelict housing that was home to poor residents. These so-called “slums” would be replaced with monumental avenues and buildings, but it was unclear what exactly would happen to the displaced people. Although many of the designs were meticulously planned, beautifully drawn, and well researched, very few were implemented even partially.4 By the turn of the 19th Century, Chicago had already substantially filled the land that was destroyed during the 1871 fire and the attitude of property rights, low taxes, and government inaction in the economic markets had rooted itself once more in American politics. Other cities were just as cautious about implementing these ambitious plans and perhaps more so than that, people were skeptical of the benefits of implementing such plans. In New Haven, specifically, republican Mayor Frank Rice, at the time of release of the Gilbert and Olmsted’s City Beautiful Report, was uninterested in raising taxes on businesses or achieving much else beyond sidewalk repair.5 Another factor in political officials opting not to implement these plans may have been their fear of what voters might do in the next election cycle if large scale eminent domain and demolition of homes were to take place, as was called for in many of the plans. It is likely that this type of thinking was repeated all over the country so the potential benefits of the City Beautiful Movement will never truly be understood. In the case of Central Park, when Olmsted was proposing this design, much of Northern Manhattan was still underdeveloped and rural. And by the time construction on the design had begun, land was already set aside for the park as townhouses developed along streets making their way up to where the park would be. The creation of this massive park required Earth work and the removal of informal settlements. This pails in comparison to the situation that existed in most cities by the turn of the Century, when the central cities were bursting at the seams and very little land remain buildable even in largely residential neighborhoods. The City Beautiful Movement proposed demolishing large portions of the city center where low-income immigrants lived and replace these vibrant, although somewhat decrepit, communities with places that would essentially be a playground for politicians and the bourgeois society of industrial wealth. Like in Paris, wealthy people would once again inhabit the central city and its adjacent areas, reversing the trend of the previous decades where suburban villas and estates provided refuge for the wealthy and streetcar suburbs provided an escape for the upwardly mobile Irish, Polish, and other early European immigrant families in the 1860s and afterward.7 This would result in the poor having to live once again on the outskirts of the city like in feudal societies because both the center and the suburban periphery would be too expensive for the working classes. While American politicians may have had contempt for these citizens, like Napoleon did, or wanted their neighborhoods reformed, they also depended on their votes for election, which meant that supporting these plans may not bode well for them politically. 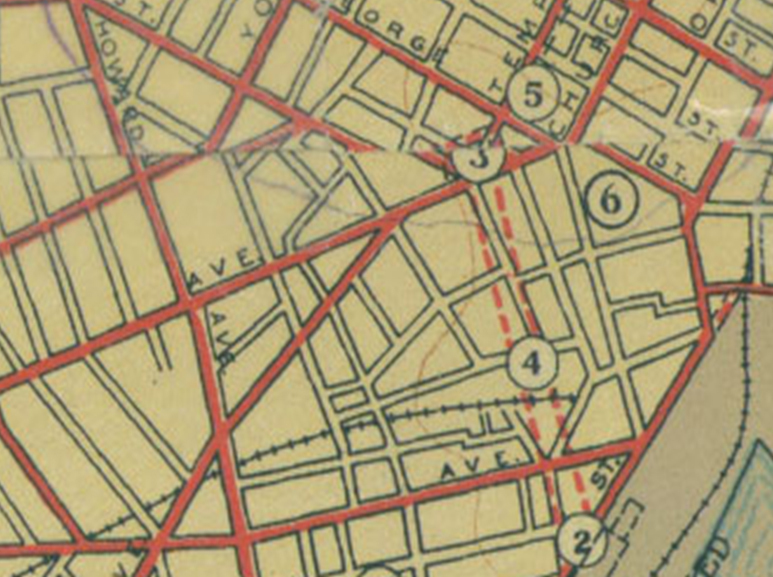 The successful, or implementable, parts of many of these City Plans tended to be on the creation of civic and public buildings like libraries, post offices and courthouses, or train stations, while the grand boulevards and plazas that would access and defined them required too much political, legal, and economic effort. Specific building projects were preferable because they appeared to serve more people than wide boulevards lined with expensive apartment buildings would. Other successful portions of the City Beautiful documents were often the periphery parks systems that relied on preserving open spaces and, in some cases, publicly acquiring fresh water supplies like lakes, shoreline ports, trolley service, and utilities. Many cities, like New Haven, Boston, and San Francisco did implement park systems around the periphery of the city.8 Although not to the scale suggested in many reports, these cities did preserve water features and woodland in semi-continuous bands around their centers. The existence of either one of two conditions likely would have allowed for the ideals of the City Beautiful Movement to have been implemented at the turn of 19th Century. Either politicians and residents would have needed the luxury of hindsight or the Movement’s proponents needed more sensitivity towards the circumstances on the lower-classes. Hindsight would have shown people how much worse central cities would have been polluted, congested, and devalued by the 1940s, and how adaptive and accessible for the lower-middle classes new apartment buildings would have become in just a few decades, as they did in Paris. Hindsight also would have revealed that that the destruction of Urban Renewal for larger and less accessible roads was many times more extensive than what was proposed under the City Beautiful Movement. This ability may have made citizens and politicians more accepting of these plans. On the other hand, people like Burnham, Gilbert, and Pope would have been more successful had they approached low-income neighborhoods with a finer grain and deeper respect for the variation and sociability displayed in vernacular neighborhoods. By strictly adhering to Beaux Arts classicism, the City Beautiful Movement largely disallowed for the accommodation of narrow, irregular streets and additive structures into their plans. Another oversight of the movement was the possibility that the outskirts of the city could absorb future growth by decentralizing the central cities and developing nearby hamlets, villages, and small towns as secondary centers. This would have addressed the traffic problems without generating the need for large infrastructure. It also would have saved many existing neighborhoods from demolition. These conditions, however, did not exist so the effect these plans may have had on cities will never be known. The legacy of this movement does live on in the form of New Urbanism, which has brought many of the ideas from this movement and the influencing projects of the Parks Movement and Haussmann’s modernization of Paris back into the forefront of the American planning and design communities. Perhaps the potential future success of that reform movement will provide some insight into what impact the City Beautiful could have had.